Did you know that the process of packaging laryngoscope blades in a peel pack, or any sealed package, is likely counter to your laryngoscope blade and handle manufacturer instructions for use? It’s true. But many people use peel packs for laryngoscope blades so how can this be? We’ll break it down for you. 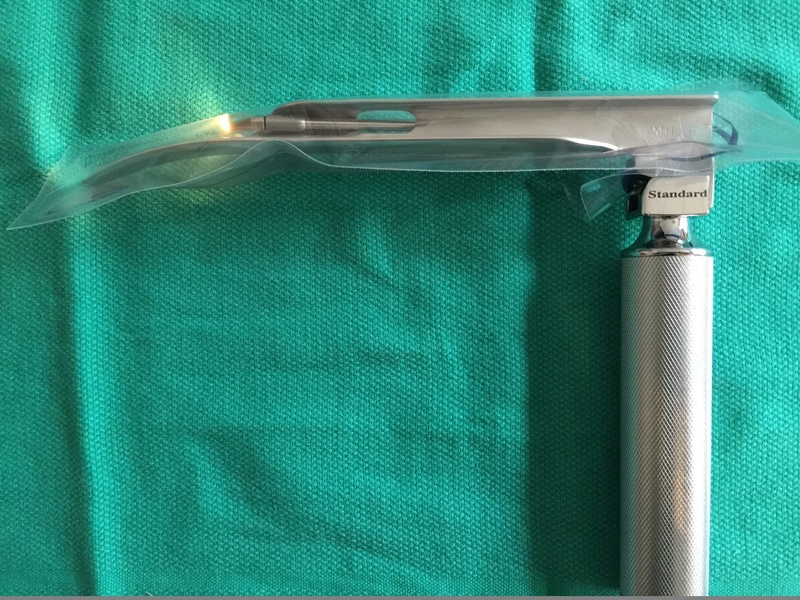 As an example, Welch Allyn manufacturer Care and Maintenance Instructions for laryngoscope blades and handles suggests that laryngoscope blades and handles should always be tested after cleaning/disinfection/sterilization AND prior to use. To test, connect the laryngoscope blade to the handle and pull up to the ON position. If the unit fails to light or flickers, check the lamp, batteries and the electrical contacts. These instructions may apply whether your laryngoscopes are standard, fiber-optic, or even single use. So check your laryngoscope manufacturer instructions for use carefully; we expect that they will say something very similar. To comply with manufacturer instructions, blades and handles must be checked (at minimum) after reprocessing and again prior to use. Makes sense, right? Reprocessing is hard on them and you want to be absolutely sure they are working perfectly before the patient arrives. But how do you do that if your blades are in a sealed package, like a standard paper/plastic peel pack? Well, you can’t very easily. Another issue with peel packs for blades is that best practice says you should check your blades and handles on crash carts regularly, which means even more openings and more peels packs. And don’t forget that it’s common practice in the operating room to open 4-5 different size/type blades and check them prior to the patient arriving. Only one blade is typically used, so the other 3-4 blades have to be reprocessed or repackaged yet again, further compounding your rework and costs. There has to be a better way! 1) Leave the peel packs open and slide the blades in and out as you check them. It can work, but it’s tricky to do without contaminating the blades. Plus, they tend to slide out during transport and storage. This does, however, save you the cost of using multiple peel packs per blade. 2) A re-sealable bag can work better for transport and storage but it likely can’t go through your sterilizers. Good luck finding sterilization IFU’s for those sandwich bags! 3) laryngo-sheath® laryngoscope blade covers were designed specifically for your blades. The covers are validated for use with steam, STERRAD® and V-PRO®, so it can be applied after cleaning and stay on all the way up to the point of use. You can check your blade and handle functionality as often as you wish without opening it or replacing it. This might be your solution!